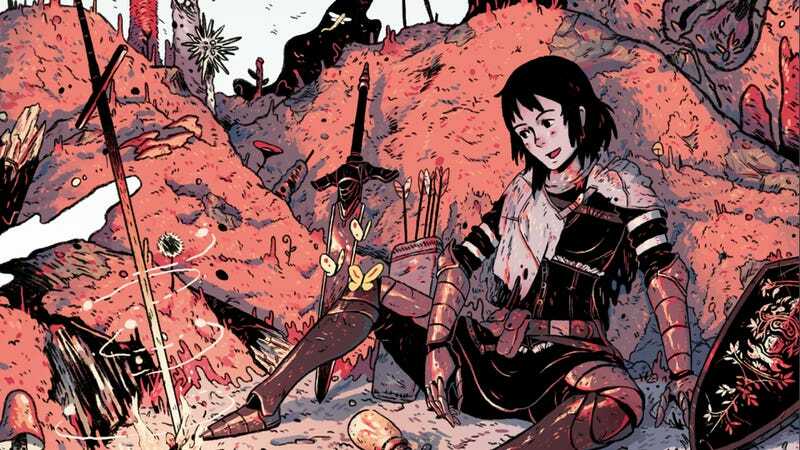 Artist and fellow Texan Kyle Fewell crossed Dark Souls with Studio Ghibli for this wonderful illustration for Fangamer Versus Attract Mode. The little details are really what make this piece so special, from the little Totoro to the makkuro kurosuke. Larger image below; be sure to also check out Kyle's site.